With 18.7m followers and a roster of fans that includes the Kardashians and Naomi Campbell, the Instagram page of beauty company Anastasia Beverly Hills offers crafty demonstrations of how to use its products to get the perfect eyebrows and lips. In one image, a model has a tiny heart carved into her manicured eyebrow. The successful social media account is more than a marketing tool, however, for the cosmetics business owned by Romanian-born billionaire Anastasia Soare. It was also listed as one of the company’s “general intangible” assets in documents for a $650m loan to fund a partial buyout by private equity firm TPG Capital, according to people familiar with the deal. Even more striking than the eyebrow-raising collateral, the loan came with few of the investor protections that were once standard in loan documents, such as the ability to potentially move assets out of the reach of lenders. Such provisions have been criticised for undermining investors’ claims on a company’s collateral in the event of financial problems — even an Instagram account. Anastasia Beverly Hills and TPG declined to comment. Anastasia Beverly Hills is one of the many companies that have sought cheap financing in recent years through the so-called leveraged loan market, where credit is typically extended to lowly rated, more indebted companies and which has overshadowed the much better known high-yield bond market as a source of financing. The leveraged loan market has exploded since the financial crisis, doubling in size over the past decade to $1.2tn, according to data from LCD, a division of S&P Global Market Intelligence. With investors of all different types eager for higher returns, companies have been able to borrow money on increasingly favourable terms, giving them greater flexibility should they run into trouble. Anastasia Beverly Hills’s loan is not the most egregious example, but it is indicative of a market that has eviscerated traditional investor protections and made looser lending standards common. The shift has prompted a rising chorus of voices to warn that the deterioration in underwriting standards could amplify the next downturn. “All the ingredients are there within this sector of the market for there to be meaningful problems when the economic slowdown does occur,” says Dan Ivascyn, chief investment officer for Pimco, one of the world’s largest asset managers. Looser lending standards are less important while the economy is robust and the likelihood of companies defaulting is low. But concerns over slowing growth are mounting, and a flash of market turbulence sent leveraged loan prices sliding in December. Although the market has since stabilised, the tumble was arguably a dry run for what could happen in a recession — which some analysts and fund managers say could be within the next couple of years. The bout of uncertainty has sparked more scrutiny of the leveraged loan market, with organisations such as the Federal Reserve, IMF and the Bank for International Settlements all sounding the alarm about the potential broader risks to the economy. When the global financial crisis erupted in 2008, central banks around the world slashed interest rates and bought trillions of dollars worth of bonds, pushing yields down. That forced investors to look elsewhere for higher returns. One beneficiary was the leveraged loan market. Loans had performed relatively well throughout the financial crisis, and investors were attracted by the fact that the debt is backed by assets, unlike the unsecured bond market. The high-yield bond market — often called “junk” and a traditional source of funding for riskier companies — has also grown, increasingly favouring larger deals. But the balance has gradually tipped toward the leveraged loan market, where many smaller, lower-rated companies that might struggle to issue in the junk bond market, have been able to find suitors. Loan issuance has edged past that of the junk bond market as a result. In December 2015, as the US economy continued its recovery, leveraged loans received another boost; the Fed began to raise interest rates. One of the attractions of investing in loans instead of junk bonds is that the interest rate paid to investors fluctuates in line with benchmark rates. As the Fed embarked on raising rates, loans became an attractive way to take advantage. But the combination of rampant investor demand and companies willing to take on more debt has led to a gradual deterioration in lending standards. For a third of all loans issued in 2018, leverage levels crept above six times, according to LCD, exceeding guidance put out by the Office of the Comptroller of the Currency in 2013, an independent bureau of the US Treasury. So-called financial maintenance covenants — things that would limit the amount of leverage a company could take on, or mandate thresholds for the amount of cash they needed on hand to pay interest on their loans — have close to disappeared. More than 80 per cent of the market is now deemed “cov-lite”, according to LCD, meaning financial maintenance protections have been removed. But the loosening of lending standards did not stop there. Neiman Marcus, the department store, and its thriving Munich-based online retailer MyTheresa, which sells pricey garb from designers such as Versace and Balmain, is a case in point. Since Neiman Marcus bought MyTheresa in 2014, MyTheresa’s sales have nearly tripled. That’s why creditors to Neiman Marcus were aggrieved when its owners — private equity firm Ares Management and the Canada Pension Plan Investment Board — in September transferred MyTheresa to Neiman’s parent company. This potentially put the assets of MyTheresa out of reach of Neiman’s creditors just before the parent company announced it would need to restructure its nearly $5bn in debt. One of the attractions of investing in loans instead of high-yield bonds is precisely that the debt sits higher up the capital structure, being repaid first if problems arise and giving investors a claim on assets if things turn sour. Creditors were especially unimpressed by the decision taken by Ares and CPPIB to strip out such a valuable asset as MyTheresa, given concerns about Neiman’s solvency. “You have allowed, or have turned a blind eye to the sponsors’ not-so-subtle, sleight of hand machinations to lure creditors into a false negotiation meant only to perpetuate their self-serving enrichment scheme,” wrote Daniel Kamensky of Marble Ridge Capital in a letter to the parent company’s board just prior to filing a lawsuit in December. Neiman Marcus is not alone in pursuing this tactic. Of the top 20 private equity-sponsored loan deals in 2018 approximately 80 per cent contained a loophole that could see loan investors’ claim on collateral diluted, according to Covenant Review, a credit research group. Documents underpinning a loan to ailing PetSmart, which sells food and other products for household animals, allowed its private equity backers, BC Partners, nearly “unlimited flexibility”, according to Ian Walker of Covenant Review. Not only did PetSmart move valuable assets out of reach of loan holders in June, it also paid a dividend to a holding company controlled by BC Partners. PetSmart is now embroiled in a lawsuit about the legality of the move with its lenders. BC Partners declined to comment. PetSmart did not respond to a request for comment. For some investors, no deal has drawn as much scepticism as Blackstone’s $17bn leveraged buyout of Thomson Reuters’ financial data business — later renamed Refinitiv. The deal, one of the biggest LBOs since the financial crisis, was financed largely with a mix of leveraged loans. The Refinitiv deal was seen as one of the most striking examples in the leveraged loans market of the use of so-called “add-backs” to earnings before interest, taxes, depreciation and amortisation. By counting potential cost savings or other ambitious, theoretical efficiency improvements, companies can appear more creditworthy. But if these “add-backs” are not realised, the actual leverage levels can spike dramatically. At 5.7 times when the deal was issued, Refinitiv’s leverage levels seemed quite modest at first glance. However, to get to this figure, it factored in $650m worth of cost savings within three years. Should Refinitiv fall short of this lofty target, its leverage levels could balloon, according to Minesh Patel, a director at S&P Global Ratings. Blackstone declined to comment. The private equity firms behind some of these loans say many of these concerns are overblown. For a start, they insist that investors know exactly what they are signing up to — the changes to covenants appear in legal documents. They also argue that no legal safeguards could protect investors from lending money to a bad company. “The main point is if a manager is bad at credit underwriting, the existence of covenants alone won’t protect you from bad credit risks and eventual realised losses — credit selection is the most important factor,” says Keith Ashton, the co-head of structured credit at Ares Management. Tighter loan conditions can still help investors, however. Rating agencies say that given the weaker lender protections, the amount that investors can recover will be far lower than in the past if highly leveraged companies begin to default. The US default rate is now just 1.6 per cent, well below the historical average of 3.1 per cent, says Ruth Yang, a managing director at S&P Global Market Intelligence. In fact, they could stay this way for some time in part because covenants remain so loose. Moody’s estimates that recoveries on so-called first-lien loans — which rank first in a debt workout — would likely fall from the historical average of 77 cents on the dollar to 61 cents. The recoveries on riskier “second-lien” loans will tumble from 43 cents to just 14 cents, the rating agency predicted. Christina Padgett, senior vice-president at Moody’s, warned last year that a “combination of aggressive financial policies, deteriorating debt cushions and a greater number of less creditworthy firms accessing the institutional loan market” was creating credit risks. The first inkling of the potential trouble ahead came in the final weeks of 2018, when investors grew nervous over the combined impact of slower economic growth and higher US interest rates, sending financial markets tumbling. Loan prices slid more than 3 per cent in December, the worst month for the loan market since August 2011 when the US government was downgraded and lost its coveted triple A rating. Between November 15 and January 2 investors pulled more than $16bn out of loan mutual funds and exchange traded funds. Much of that was concentrated among a handful of dominant players. But the new year has brought some renewed optimism to the market. The S&P loan index has recovered by 2.2 per cent. Douglas Peebles, head of fixed income at AllianceBernstein and long a leveraged loan bear, now thinks the market is healthier, after the sellout cleared out some of the “weak hands” in the market. The December sell-off also forced Wall Street banks stuck with unsold loans to offer better terms to investors. “To get a deal through the market now, it is going to have less leverage, tighter documents and a higher coupon,” says Mr Russ. But some lawyers say they will still try to keep the balance tipped towards borrowers, especially when it comes to loosening lender protections further. The US government shutdown that ended on Friday broke many records. At 35 days, it was the longest ever (the previous was just over three weeks). It was also the first that a US president conclusively lost. By agreeing to reopen government without having secured a single dollar of the $5.7bn he demanded for the wall, Donald Trump lost a battle that he had needlessly created. The victor was Nancy Pelosi, speaker of the House of Representatives. Presidents have the usually decisive advantage of the bully pulpit. In two televised addresses during the shutdown, Mr Trump painted himself ever deeper into a corner. His descriptions of invading Hispanics made him sound anything but presidential. His poll numbers kept falling. By folding to Mrs Pelosi’s demand to reopen government before talks could begin, Mr Trump has shattered the aura of power around him. He emerges from this gratuitous brinkmanship far weaker than when he began. The nadir was the way in which Mr Trump and his cabinet officials spoke about the idled federal workers. Having missed two paychecks, many of the 800,000 or so government employees had to rely on the food banks that sprang up as the crisis wore on. One official said they were enjoying a paid holiday — it was just that the deposits would arrive late. Another questioned why they needed to take charity at all. The latter, Wilbur Ross, the US secretary of commerce, is worth an estimated $700m. Mr Trump said that most of the furloughed employees were Democrats anyway. Given that the unpaid workers included members of the FBI, which is investigating the president, border patrol agents and air traffic controllers, this was not merely insensitive but also tactically misguided. The event that appeared to trigger Mr Trump’s climbdown was the near-shutdown of New York’s La Guardia airport on Friday. Too few air traffic controllers had turned up to work. The crisis is far from over. Unless Mr Trump and Mrs Pelosi strike a lasting bargain, the government could shut down again on February 15. Mr Trump only signed up to three weeks of new funding last Friday. Mr Trump is itching to disprove conservative critics who say he blinked first. That will make it even harder for him to make the necessary concessions — such as legalising the 700,000 or so “Dreamers”, who were brought illegally to the US as children — to secure Democratic funding for the wall. Mrs Pelosi has already described the border wall as “immoral”. Any funding would therefore need to be spent on drones, electronic surveillance and courts. Whether it is built from steel or concrete, a 2,000-mile barrier is unlikely to pass Mrs Pelosi’s “evidence-based” test of what will work. Most illegal immigrants overstay their visas rather than sneak over the border. Moreover, native-born Americans are likelier to commit crimes than newcomers. Mr Trump’s “big, beautiful wall” looks more politically unlikely than ever. In the absence of a deal, the danger is that Mr Trump will declare an emergency and divert military funds to the wall. That could trigger a far larger crisis than the shutdown. It would almost certainly end up in the courts. Mr Trump was elected on a promise of building a wall. He was unable to advance it when Congress was controlled by Republicans. Why he believes he can pull it off now that he faces the formidably disciplined Mrs Pelosi is a mystery. Having advertised the art of the deal, Mr Trump is tasting the reality of surrender. For the United States, immigration has always been a necessity and an agony. The debate over a wall separating the United States and Mexico goes to the heart of American society. The wall itself is about preventing illegal immigration, but the debate inevitably flows to the question of immigration in general, as it always has in American history. The American nation was forged from fragments of other nations. The English, Scotch-Irish, Swedish, Germans, Catholic Irish, Italians, Jews and Africans joined together, or, better yet, were crushed together, to create the American nation. It was a painful process. At any given point, Americans believed that the way America was then was the way it ought to be. Thus the settlers from England were appalled at the arrival of the Scotch-Irish, who were seen as unassimilable and irredeemable brawlers, drunkards and thugs. When the Irish Catholics arrived, many feared they could not assimilate to a predominantly Protestant society. Indeed, the debate over whether a Catholic could become president dominated the 1960 election, more than a century after the Irish influx began. Virtually all immigrants who came to the United States were those being crushed in their own societies (except, of course, for Africans slaves, who were brought to the U.S. through no choice of their own). They left families, customs and all that was familiar for a new start. The Jamestown and Plymouth colonies were built on this process. It was the core American experience: suffering through being a stranger in a strange land while being distrusted and even loathed. The nation-building process in the U.S. was an agonizing experience. Some have romanticized it, forgetting that the melting pot was hot enough to dissolve human souls, and that the pain fell both on the immigrants themselves and on those with whom they merged. Yet immigration was essential. The first European immigrants who arrived were too few to create a nation that could settle and exploit the continent, spark industrialization, and win wars. Had the U.S. remained simply an English nation, it would have been annihilated long ago. Immigrants were indispensable to the creation of a viable country, and, inevitably, most would come from “your tired, your poor, your huddled masses,” as Emma Lazarus put it. 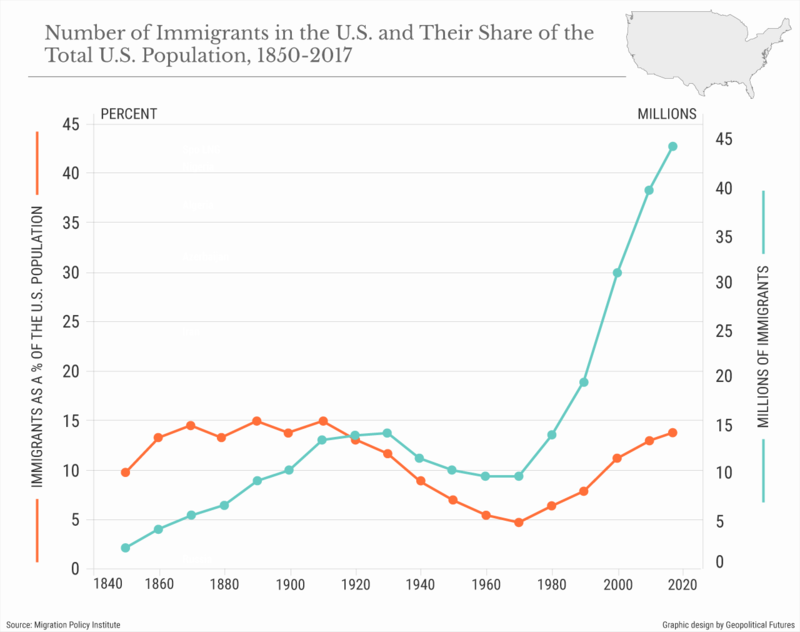 The United States welcomed immigrants out of necessity and even desperation, the same factors that drove immigrants to the U.S. in the first place. But the reality of immigration lies not only in the broad story of the American nation, where the agony is lost in the glory, but in the details. I immigrated with my family to the United States from Hungary as an infant. We settled in a tenement in the Bronx. The most important part of our story was not that we were poor, but rather that our family was torn apart. My parents brought my sister and me to the United States because they had no choice. Their home abandoned them in World War II, and America welcomed them. For immigrants, however, America is a mistress who gives generously of her pleasure but is ruthless in her demands. You must be completely devoted to America to enjoy her pleasures to the fullest. My parents had lived through too much and had grown too weary to pay that price. They didn’t hope for the ecstasy America offered; they were content with sanctuary, however meager. My hopes diverged from my parents’ needs. My parents were loving, yet, in a way, they became irrelevant. They could not guide me on my path. In those years, many immigrants settled in the Bronx. The Jewish kids banded together. So did the Irish, the Italians, the Puerto Ricans and the African-Americans. They drew strength from each other, rather than from their families. The cruel paradox of immigration is that it divides parents and children. The children long for America while the parents long for relief. And when the children band together, they learn the first lesson of America: It has pity for the weak and respect only for the strong. You learn this lesson on the streets, where you discover that pain is not the worst thing in the world. Cowardice is. Winning is everything. Fighting fearlessly and losing brings opportunity for redemption. Fleeing the field of battle to huddle with your parents denies you pride and entry into America. America is for those who have the strength not only to play baseball or to excel in school but also to learn the lesson of the streets and to pay the price of entry. Imagine what the Bronx was like back then. Young thugs, or would-be thugs, roaming the streets, seeking and fearing the moment when they must prove their manhood. The boys and girls, driven by hormones, as much strangers to their parents as their parents were to them, alone in a world to make what rules they could. The law was what you made of it, and the cops were just another gang, albeit a very dangerous one. The Bronx was once a genteel borough of New York, with stately apartment buildings and vast parks. But it was at the bare limits of gentility. Those whose families came a century before were now gone, and the children of the new immigrants turned much of the Bronx into a nightmare. The parents of these children lived their lives in terror, fearing every trip to the grocery store. The dream of a little safety brought them back to the war zone. Immigrants tend to move to neighborhoods with low rents, and they often live together so they have people around them who speak their language. They’re satisfied with simply making a home in their new land. But their settlement can create havoc for those who were there before – those who also live in low-cost neighborhoods and now must compete for jobs and housing. As the new immigrant group expands, word spreads that this particular group is uniquely dangerous, and the belief grows that immigration must be stopped. For those who have the means to insulate themselves from the fear and uncertainty, on the other hand, this process isn’t a cause for concern. For them, immigration is a concept, not a reality, and so they see it as a charitable endeavor. The reality is that the United States cannot survive without waves of immigrants. It’s never been able to grow without immigrants, and there’s no reason to believe it can now. But the process of immigration becomes more painful the closer you come to it. The idea that those afraid of immigration are racist misses the point. Immigration directly impacts many of those who fear its effects. Many of those who don’t fear it live in well-off communities where new immigrants tend not to settle. Fear is a predictable response to immigration. The English feared the Scotch-Irish. Protestants feared Irish Catholics. And the cycle continues. Even a group as disreputable and hated as the Scots made the transition, and now, fully integrated for centuries, they loathe and fear new arrivals. In two centuries of debating immigration, both sides have been systematically oblivious to the realities underlying the debate. The advocates of immigration are oblivious to its disproportionate impact on those who live in poorer neighborhoods. Those wary of immigration are oblivious to the impact of ending it in a time of declining birthrates, and to the fact that immigration is embedded in the nation’s soul. The beauty of America is that every American can have an opinion that makes little sense. It is as charming as a gang brawl in a schoolyard. But in the end, America has survived this debate many times, and the outcome has always been the same. The U.S. economy has always depended on a constant inflow of low-paid workers. What has been true since the founding remains true now or the migrants would not be still coming. This has brought with it tension, violence and pain, far more for the poorest Americans than for the wealthy, who have benefited from immigration. But we cannot stop immigration. Nor can we make those insulated from its effects understand or care about the pain this process inevitably causes. Welcoming immigrants is not an act of kindness but a necessity. Those who think of it as an act of kindness misunderstand the lives of immigrants and those who live among them. Immigration has always been a growing pain of the Republic. Even if China maintains its market-oriented reform momentum, tensions with the West are unlikely to be resolved quickly. While steps can be taken to reduce these tensions, they cannot be easily eliminated, which means that they will probably be a key factor shaping the future of China’s development model. MILAN – China’s strategy for economic growth has been a work in progress since Deng Xiaoping launched the country’s “reform and opening up” in 1978. While the last 40 years of reform have been far from error-free, the government has displayed a willingness to adapt, as well as a capacity for navigating complex transitions, supported by a healthy internal policy debate. But how is China’s development model likely to evolve in the future, as external conditions pose new challenges to economic growth? A defining feature of China’s four decades of reform has been the state’s evolving role in the economy, about which there is still significant domestic disagreement. 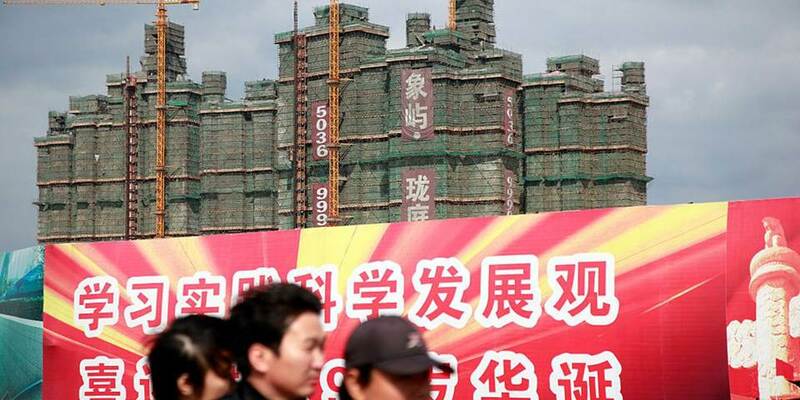 Some argue that the state – and, by extension, the Communist Party of China (CPC) – must retain a prominent role, in order to uphold the social stability needed to sustain economic development. Others claim that spurring the innovation needed to reach high-income status requires the state to be less like a market participant and more like a referee, regulator, and arbiter of economic and social priorities. Without question, the state has been integral to China’s development, not only by investing in areas like infrastructure and technology, but also by serving as a backstop as nascent markets and private-sector institutions developed. State involvement is also needed to help manage inequality and ensure that growth patterns are inclusive, which markets alone cannot be counted on to do. Moreover, the Chinese state has resolved coordination problems that are not easily or efficiently handled by decentralized markets, particularly in developing countries, where market institutions and administrative capabilities may be at different stages of development. In its five-year plans, China’s government establishes clear priorities and expectations that help to ensure that complementary policies and investments occur simultaneously or are properly sequenced. Proponents of giving markets and the private sector a “decisive” role in the economy largely do not dispute these points. Instead, they emphasize that innovation, productivity growth, and overall growth have been driven primarily by the expanding private sector. A vibrant marketplace of ideas is a key part of this model. The CPC’s increasing presence in private firms, heavy-handed economic intervention, and a growing preference for orthodoxy could pose a threat to dynamism and growth. Already, the lack of clarity about the state’s role in private firms is hampering outward investment by Chinese multinationals, especially in industries that involve national and cyber security, a sector that is growing rapidly as the world’s economies shift onto digital foundations. If China reverts to a model in which the state owns the assets in key sectors, those sectors could underperform due to a lack of competition and experimentation, resulting in stagnation. It is worth noting that China never adopted the shareholder-value model of corporate governance that has long prevailed in the West, though the West is now arguably moving toward a multi-stakeholder model. Instead, the Chinese authorities view corporations (and financial markets) as instruments to achieve economic and social objectives. In a sense, therefore, China has had a kind of multi-stakeholder model all along. As environmental, social, and corporate governance (ESG) takes hold in the West, the Chinese and Western models may begin to converge, with the key difference that, in China, the CPC and the state represent the non-owner stakeholders, or the public interest. The relative roles of the state and the market in China’s economy have yet to be definitively decided. The details of the model will probably be determined by pragmatic considerations and course corrections. But it is clear that achieving the authorities’ technological goals, as outlined in the “Made in China 2025” plan, will require a dynamic and relatively freewheeling private sector, as well as significant state support in the form of upstream investment in advanced education and scientific research. China’s state-led efforts to spur innovation have raised tensions with its economic partners, especially the United States. But China can take steps to assuage its critics, especially by committing to respect intellectual property, remove non-tariff barriers to cross-border trade and (especially) investment, and eliminate joint-venture requirements for private cross-border investments, so that technology transfer is not coerced. The bigger challenges concern the role of the state at the nexus of technology and national security. Private Chinese firms investing abroad must credibly signal that their focus is purely commercial, and that they are not pursuing other agendas, like national security. A commitment from the Chinese state to insulate the country’s private multinationals from such agendas would go a long way. No government can be expected to renounce the use of cyber tools in espionage, but governments can avoid implicating the private sector. China’s state-owned enterprises (SOEs), by contrast, are likely to continue to face higher barriers to clearing foreign-investment review processes. Chinese SOEs can receive difficult-to-detect subsidies, privileged access to low-cost capital, and protection from competition at home. More fundamentally, when the government is the controlling shareholder, the challenge of credibly separating commercial interests from state objectives seems insurmountable. Obstacles to cross-border investment in the Internet are also high and likely to persist. Here, too, major differences in regulation (including the state’s role with respect to content and access to data) will be difficult, if not impossible, to overcome. Convergence with the evolving Western model is unlikely in the short run. Tensions between China and the West, especially regarding the state’s role in the market, will persist. But the market-oriented development path will certainly help reduce these tensions. Introducing much greater clarity about the division of responsibilities between the state and the market would remove a major obstacle to further progress. In the past two years, the world has been rocked first by the rise of right-wing populists and now by a re-energized left. Both are products of a deeper-seated, destabilizing trend: the hollowing out of the political middle. The shrinking center has hamstrung governments’ ability to act, as Britain’s Brexit chaos and the U.S.-government shutdown have demonstrated. It also erodes the international cooperation needed to confront common challenges such as on immigration, trade and the climate. It’s a threat in particular to the global business leaders meeting in Davos this week. They’re the biggest beneficiaries of the market-friendly policies and global openness that centrist parties champion. They increasingly must deal with insurgents on the left and right with little in common except a mistrust of globalization,big banks and big tech. The demise of the center, years in the making, takes different forms in different countries. In Western Europe, it has come through the rise of splinter parties. From 2007 to 2016 across Western Europe, social-democratic parties’ vote share has plunged to 23% from 31%, while center-right parties’ share has fallen to 29% from 36%, according to political scientist Simon Hix of the London School of Economics. The main beneficiary has been the far right, but lately the far left has made inroads. 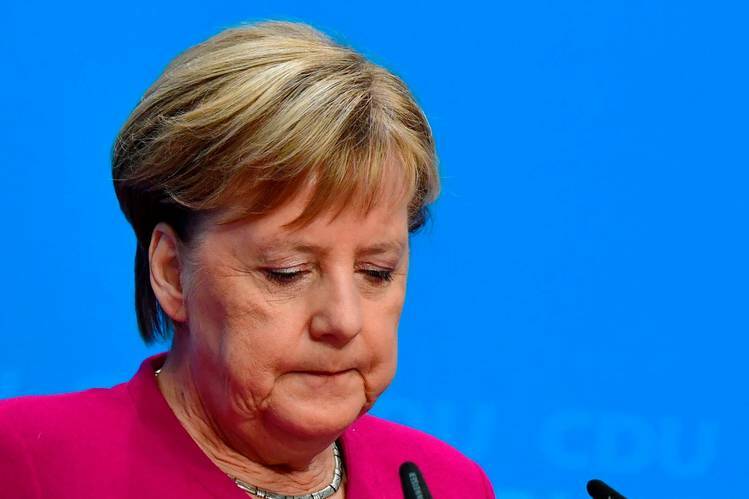 In Germany last year, the center-left Social Democrats and the center-right Christian Democrats, who jointly govern at the federal level, saw their vote shares collapse in state elections. Meanwhile, both the anti-immigrant, anti-euro Alternative for Germany and pro-migrant, environmentalist Greens surged. In Italy, the far right and populist left now jointly govern. In the U.S. and the U.K., the erosion of the middle has come through polarization between and within the major parties: Both American Republicans and British Conservatives are torn between their establishment and nationalist wings. Meanwhile, Jeremy Corbyn is pulling British Labour to the left, while progressives and self-described democratic socialists seek to do the same with the U.S. Democratic Party. They are calling for interventions that Tony Blair and Barack Obama would never have entertained. Mr. Corbyn has proposed that workers receive up to 10% ownership in their companies, while Sen. Elizabeth Warren, a front-runner for the Democratic presidential nomination in 2020, wants employees to elect at least 40% of big companies’ directors. Similar forces can be seen in some emerging markets. Last year, both Brazil and Mexico elected presidents from parties that had never held power before, Brazil’s from the far right, Mexico’s from the far left. How did politics fragment? Until a decade ago, most established parties of the left and right, in search of power and votes, moved steadily toward the center, in the process embracing many of each other’s positions. The center-left accepted globalization and deregulation, the center-right the welfare state. Both supported immigration. This, however, left a growing share of voters dissatisfied with their choices. Sara Hobolt, a political scientist at LSE, says that in recent decades party attachment has declined in Europe and voters are much quicker to shift allegiances than a generation ago when, for example, blue-collar union members always voted for the center-left. And, just as the internet broke the oligopoly of traditional media, it has helped to break the hold of traditional parties. “Getting your message out unfiltered to your base, or the opinion leaders within your base, has really helped these startup parties,” says Catherine de Vries, a political scientist at Free University Amsterdam. The combination of eroding political allegiance and more powerful communications technology was a boon to startup and fringe movements. All they needed was to make the case that the center had failed, and stagnating wages, financial crises and high levels of uncontrolled immigration have given them the opening. The demise of the political middle has made it far harder to assemble the coalitions or negotiate the compromises that governing requires. The Netherlands now has 13 parties in its Parliament, and the largest, center-right Prime Minister Mark Rutte’s, controls only 22% of seats. The second largest, at 13%, is a right-wing nationalist party. Though French President Emmanuel Macron, himself the head of a startup centrist party, has a majority in Parliament, the far right and far left command wide public support. That shows up in the leaderless “yellow vest” protests that have paralyzed French cities and forced Mr. Macron to back down on several policies. In Britain, the landslide defeat of Prime Minister Theresa May’s Brexit deal exposed the absence of a majority in Parliament for any of the main options: stay in the European Union, leave without a deal (“hard Brexit”), or something in between. In the U.S., no issue illustrates the polarization better than immigration. Back in 2006, Republican President George W. Bush wanted to legalize millions of illegal immigrants while plenty of Democrats, including then-senator Mr. Obama, voted to build fencing along the Mexican border. In 2016, President Trump promised his political base he would build a wall on the border, and in last year’s midterms, many Democrats promised their base they would stop him. The resulting standoff has shut down much of the federal government for the past month. The World Economic Forum has felt the impact directly: Mr. Macron, Mrs. May and Mr. Trump all are staying away this year to deal with political turmoil at home. If a shrinking middle ground makes national governance harder, it makes international governance next to impossible. Even if one country manages to strike a deal with another, “it is less able to provide the guarantee it can deliver at home,” says Ms. De Vries. The left- and right-wing populists now governing Italy have threatened to torpedo a free-trade pact between the European Union and Canada. Belgium’s prime minister resigned last month after an anti-immigrant party quit his coalition, depriving it of a parliamentary majority, over joining a United Nations migrant-rights accord. This makes the coming years particularly fraught as the institutions that underpin the global economic system come under strain. The World Trade Organization could grind to a halt as Mr. Trump challenges its legitimacy. His own renegotiated North American Free Trade Agreement could founder in Congress over Democrats’ objections. The European Union, already grappling with the imminent exit of Britain, may be challenged from within by Italy, Hungary and Poland, whose governments all question the bloc’s premise of ever-greater integration. Mr. Ip is chief economics commentator for The Wall Street Journal.